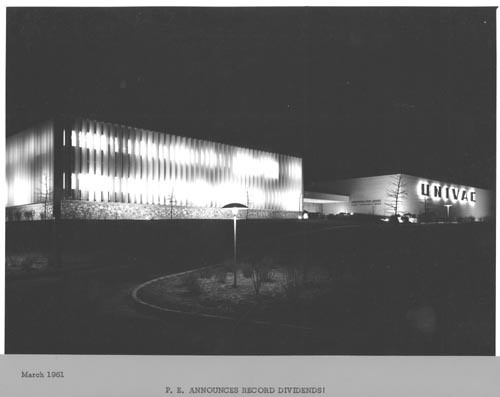 B&W image of UNIVAC building taken at night with all the lights on. Recto bottom: "P.E. announces record dividends"